Produced by Earle alongside longtime collaborator Skylar Wilson, the album was recorded completely live with no overdubs over a 4-day period at an old converted church recording studio in Asheville, NC. His band is, as always, a top-flight collection of like-minded compadres. Paul Niehaus (Calexico, Iron & Wine, Lambchop) on guitar and steel, Bryn Davies (Jack White's Peacocks, Guy Clark) on bass, the indominable Cory Younts on lotsa stuff and Amanda Shires on vocals and fiddle. From the first track, one senses a deeper shade of soul from JTE. "Am I That Lonely Tonight?" and "Look the Other Way" are the brimming with weariness, despite the warmth of the subdued horn section. Loss imbues the title track and the Chet Baker via Bob Dylan "Down on the Lower East Side." The man's head is hanging low; it's a big city, but all he's seeing is his shoes. "Won't Be the Last Time" and "Unfortunately Anna" are sparse confessionals, it's just him, you and his stories. Intimate and striking. It's not all downcast though, "Baby's Got A Bad Idea" is a hopped up gem that John Hiatt would be proud to have in his canon and "Memphis in the Rain," despite the imagery, is a nice civic bookend to his last album's masterpiece "Harlem River Blues." …ultimately the kind of album you can curl up into, let the warm tones surround you and rest easy…in a way that makes you feel like, ‘damn, everything feels right about now. This blend of realism and resignation doesn’t go down easy; it’s the stuff that a lasting body of work is made of. With material like this, he may even find a way to add a chapter to the Great American Songbook. JTE has always put a lot of soul into his music, but never quite like this. The most effective singer/songwriters strip themselves naked, confess flaws and desires, perhaps ask for forgiveness or remain stubborn. Justin Townes Earle unflinchingly displays all of these behaviors on his superb fourth album...With just 10 tracks, the album yields only a brief glimpse of the singer's troubled soul, yet leaves you wanting more. 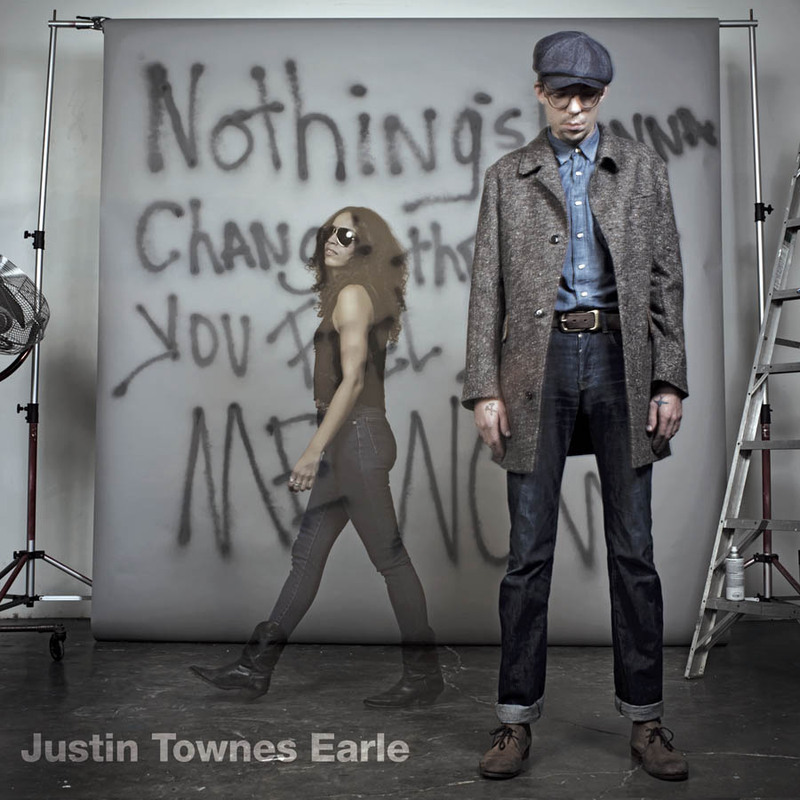 Whether Nothing's Gonna Change.. goes down as the birth of alt-soul or not, the emotional and transformative power of these songs is undeniable and, stacked atop his past work, makes a strong case for Justin Townes Earle being one of today's most promising talents. His voice remains packed with emotion and personality, but it has more range and takes more risks, as he whispers, slurs and moans like a midnight caller…His self-written songs, each as strong as the next, deal with family history, with the way loved ones shade the truth to each other, and with the downhill side of love and friendship. Somehow, through the confessionals and dark stories, a powerful light shines through. Justin Townes Earle, "Slippin' and Slidin'"
Justin Townes Earle, "The Good Life"
Unreleased B-side is a sparse, haunting Bruce Springsteen cover. A young songwriter honing his craft and getting his Guthrie on. Reminiscent of early ‘50s blues & soul 45s but with an updated pop-inflected rootsy twist--equal parts Delta punk rock, jivin’ city blues and understated elegance.